over the moon. high as a kite. 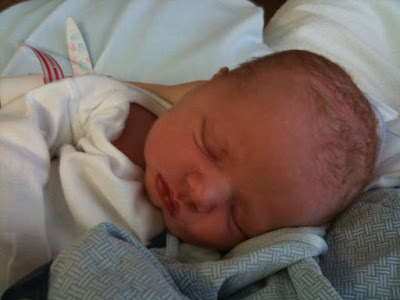 welcome william (8 pounds 10 ounces, 21 inches and lots of strawberry blond hair). he is beautiful! congrats liz! There is nothing better. He is beautiful! Congratulations, enjoy every minute of the rest of his life! He's beautiful and was a good size baby. Welcome baby William! He's absolute perfection! So adorable! Congratulations! Congrats you guys! He looks just like Dave! He is absolutely PRECIOUS! And you look absolutely amazing (especially after being in labor for 32 hours!) I can't wait to kiss his cute little cheeks! Congrats! Can't wait to meet this cute little boy. Congratulations! What a sweet little man. Congratulations!!! He is beautiful and so are you! a very hearty congratulations from the Toblers! we love you guys! now go get some sleep! congratulations liz! aren't baby boys the best? he is absolutely adorable! can't wait to see more pictures and see him grow along with ours! Congratulations! I love the name William. Hooray! Congratulations to you, and you all look marvelous. Love the name William...it's our son's name too. Congratulations and best wishes for an eternity of love. He's just beautiful, and William is such a nice, strong name. Congratulations! Once again, best wishes to you and yours in these precious beginning months. Isn't is amazing to feel that spirit in your home when you bring a new baby into it? Congratulations! He is so so cute! congratulations on your precious baby boy! he's adorable! OH, I am so thrilled for you. I saw that you said you are attending my baby shower....does that mean you will be in AZ over Thanksgiving!?!?! Will we get to see William!?!!???! So exciting! Congratulations on the birth of your firstborn son. He is gorgeous, but look at the genes! Of COURSE he was going to be adorable. Absolutely fabulous! I knew in my heart that that was why you hadn't posted! Congratulations on your new bundle of love & joy! I absolutely LOVE your blog and check it often! Congrats on your new addition! SO exciting!! He's amazing. I love the name and he's seriously adorable. Congratulations! He is absolutely beautiful & oh so sweet. Congratulations Liz. He is so beautiful and big too! I'm so happy for you three! He's beautiful! SUCH a beautiful face:-) congratulations! What a gorgeous baby! Congratulations to you both!! Congratulations David and Elizabeth!! He's sweet. Love the costume you made too! What a handsome little guy! I'm so happy for you guys! Hope you're doing well Liz. Congrats! I'm so excited for you both and you both are just glowing in your pictures! Such joy! Congratulations Liz! He is beautiful. Cherish these precious moments...they grow so fast. oh what a joy a little boy is. william; so classic. hooray and congratulations. i love tiny newborn snuggles. relax and enjoy everything about becoming a mama. p.s. love the halloween costume. p.p.s. am digging your new blog threads too. I'm on a mission to create the Ultimate Happy Playlist. Please help me out by letting me know what song instantly makes you happy when you hear it! I love this post. I love it. So beautifully stated. Such a beautiful boy. So happy for you.